Creating an Event on Buzz is FREE as well as quick and easy to setup. Your Event Page is where people can view details and buy Tickets for your Event. 1. Login to your Buzz Account. If you don't have an account on Buzz, you can sign up for free. 2. Click on Add Event, located at the top right of your screen in yellow colored text. Event Title: Enter the name of your Event. Event Description: Describe your Event and include all details your attendees should know such as DJ Cast, Featured Speakers, Ticket Outlets etc. Date & Time: Set a start and end date/time for your Event. Event Phone: Enter a telephone or cell phone number for attendees to contact you for more information. Event Email: Enter an email address for attendees to contact you for more information. Event Facebook Page: Enter your Facebook Event Page URL address for attendees to follow for up to date news surrounding your event. 4. Add the Event Location: Indicate where your Event will take place by using our Search For A Location input field. If you can't find the location you're looking for, then click Add Location and fill out the fields displayed. If it's a Virtual Event, toggle the Virtual Event switch on. Event Flyer Image: This image will be displayed on the top right hand side of your Event Page and is the main image for your Event. This image will also be displayed in the Buzz App. It is recommended that you optimize your image via compression. Event Banner Image: This image will be displayed on the top left of your Event Page above the Event Description. It is recommended that you optimize your image via compression. 6. Create Tickets: If you are a Verified Buzz Organizer, you can create different Tickets for sale for your event. To learn more about utilizing Buzz Ticketing Services please read this article. 7. 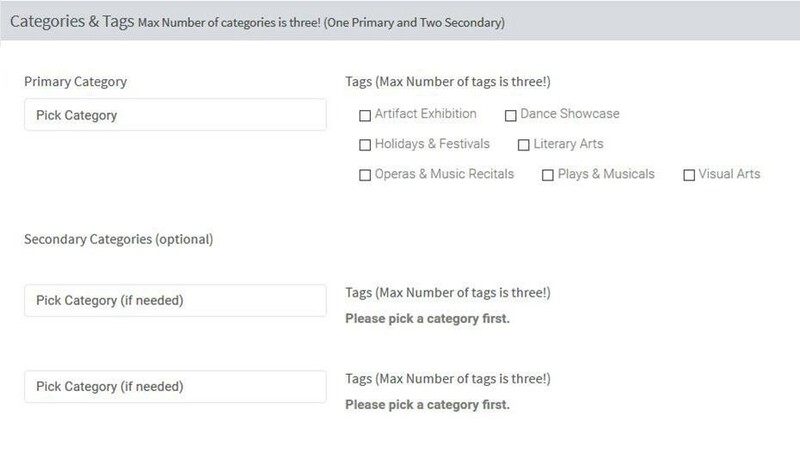 Add Categories & Tags: You are required to set one Primary category along with a minimum of 1 corresponding tag (max of 3). Secondary categories are optional, however, carry minimum of 1 corresponding tag if selected. Comments: By default we allow members to comment on Event Pages. You can switch this off using the toggle. Privacy: You may choose to make an Event accessible only to a closed group by making it a Private Event. A password will need to be set and sent to your attendees in order for them to view your Event Page. Buzz Event Directory: By default all Events created on Buzz are displayed on our site for all our visitors to see. However, if you don’t want your event to be discovered in the Buzz Event Listing then switch on the toggle. Attendees Block: Generate curiosity by displaying who has purchased Tickets for your Event to anyone looking at your Event Page. Publish Event: To publish an Event while using a Desktop, select the Publishoption from the status dropdown, then click Save Changes. 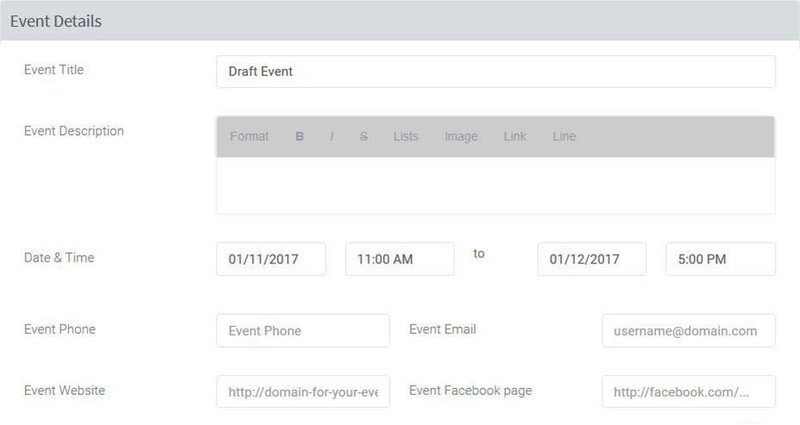 To publish an Event while using a Mobile Device, select Publish on either the top or bottom of the Create Your Event form.